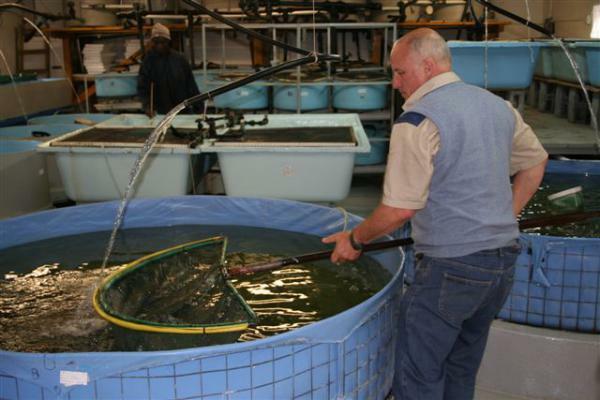 FOSAF NEWS - Why are the stillwater trout fisheries of the Eastern Cape so successful? - A tribute to Martin Davies. Martin, Welsh by birth, joined the Ichthyology & Fisheries Science Dept. of Rhodes University in 1984 and set about establishing the fish farm. Local fly-fishers were extremely concerned that the Pirie hatchery at Kingwilliamstown was to close down and learnt that Martin had been working with trout since 1979. Grahamstown was hardly suitable for trout as summer temperatures sometimes reach the forties in the shade. Despite this trout production commenced and the problem of high temperatures was eventually overcome by installing a heat exchanger to cool the water. This was made possible in 1994 with a generous donation from the Anglo-American Chairman’s fund. However, great distances had to be travelled to stock fry and fingerlings, often in mountainous terrain, and Mondi Forests and SAMCOR provided a 4wd vehicle for this purpose in 1997. All these donations were facilitated by FOSAF. Needless to say there were many other major obstacles to overcome, some seemingly impossible to us mere mortals, but overcome them Martin did and still does almost every day of his working life. The poor quality of the Grahamstown municipal water supply is a constant challenge so rain water is collected and up to 95% of this is recycled through a sophisticated purification system. New water chillers have now been installed and owing to the large numbers of trout produced under the most adverse conditions Martin and his team have been forced to develop unique technologies. Not only has this benefitted research, but it has proved an excellent training ground for the many students he has mentored over the decades. 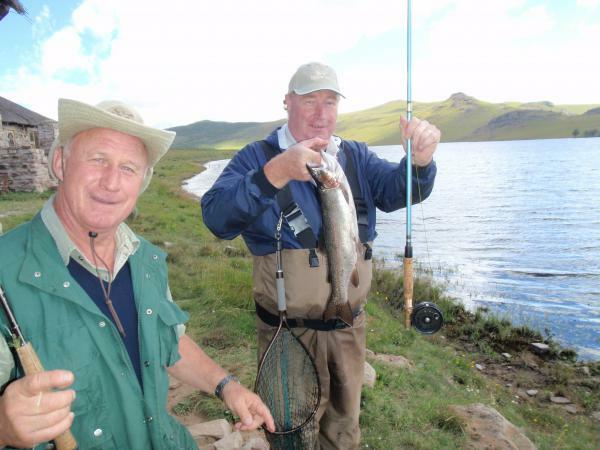 Over the years by carefully selecting breeding stock, mainly from Thrift Dam, Martin has been able to supply rainbows at a very competitive price for stocking purposes that grow out fast in the fertile, but often inhospitable waters of the Eastern Cape to make this part of the country a mecca for fly fishers and especially trophy hunters. Next year Martin, a founder member of FOSAF, reaches 65 and this exceptionally energetic and remarkable man will have to retire from the university in December 2016. Let us all hope that for the good of trout fishing in South Africa a suitable candidate is waiting in the wings to take over from him.